Em Stafrace| Just a Girl with Ideas: SNAPSHOTS & STORIES. Two posts in as many days I know its a bit overkill but August is already panning out to be a big month so please forgive me! I have to share my CT projects for Sahlin Studio's current release a gorgeous kit called 'Flashback' for the August BYOC at The Lilypad. 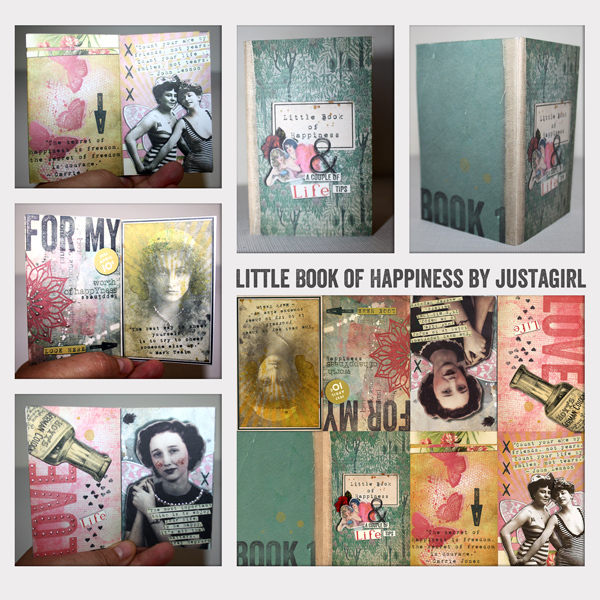 Its such a fun, bright and happy collection that works perfectly for standard scrapping, Project L ife and art journal pages. Here's what I created using the packs! 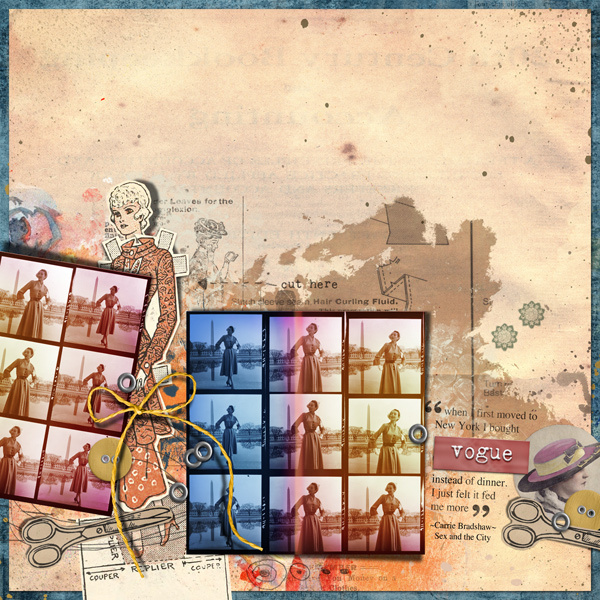 Sissy Sparrows| Vintage Vogue Full Kit. Also something I am really excited 'bout.... Sissy Sparrows have recently released a fantastic new product called DIY POCKET JOURNALS. 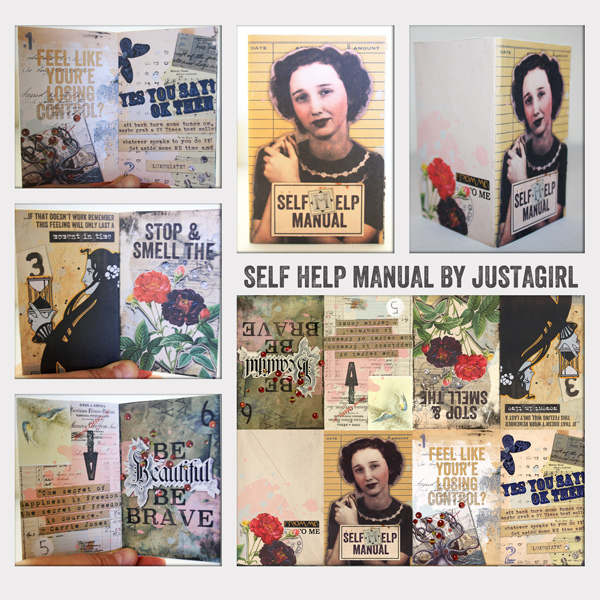 They are a Pocket Journaling series that will have new books released each month with extra backgrounds and ellies packs released each week to tide you over. 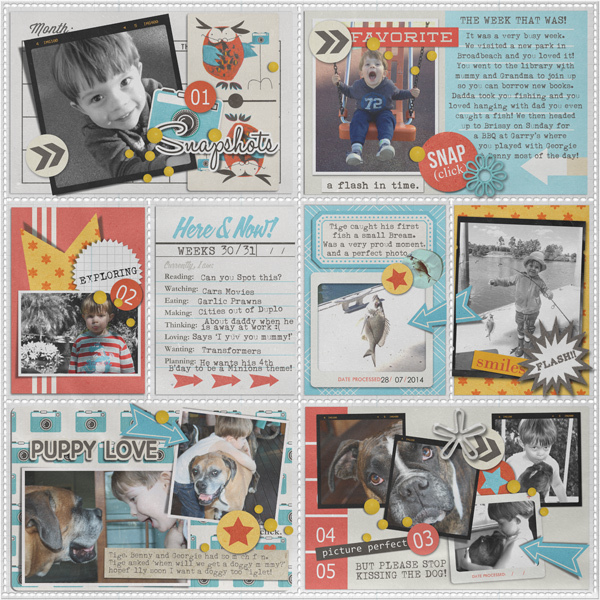 Each pack allows you to digitally design your booklet, you then print and construct into pocket size hybrid books for you to further embellish with all your scrappy embellishments, inks and perfect pearls to just name a few. Who doesn't like a little book of quotes or positive affirmations? I know I love them and I'm well on the way to making my very own personalised little collection that will contain all my thoughts and aspirations within their pages. So why not check out the range they are tonnes of fun and allow for countless little books filled with your own ideas, photo's, imagery and journaling! For Sissy Sparrows shop click HERE. Or if you want to check out how it all works there is a fabulous FB freebie to get you started over at the Sissy FB page. All you have to do is like their page and you get to download the freebie pack! Thats it for now... thanks for checking out my pages, again he he! OMG!!! You are so talented Em...Absolutely amazing work....Love them! Wow WOW wow! You are so creative and you have been soo busy.. love em all.. but I do love how you have the large photo on the photo bomb layout.. that is fantastic!!! Fabulous work! I was just looking at the Sahlin Studio Flashback collection yesterday - just love what you have done with it. 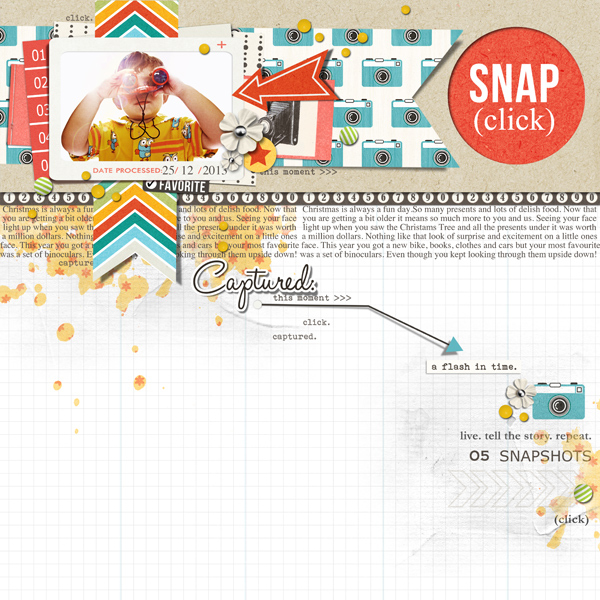 Also love how you have worked the journaling on the top layout. Also glad you explained and showed some more of the Sissy Sparrows little pocket journal books - they're a great idea and love that they are compact and easily do-able. Thanks for sharing. 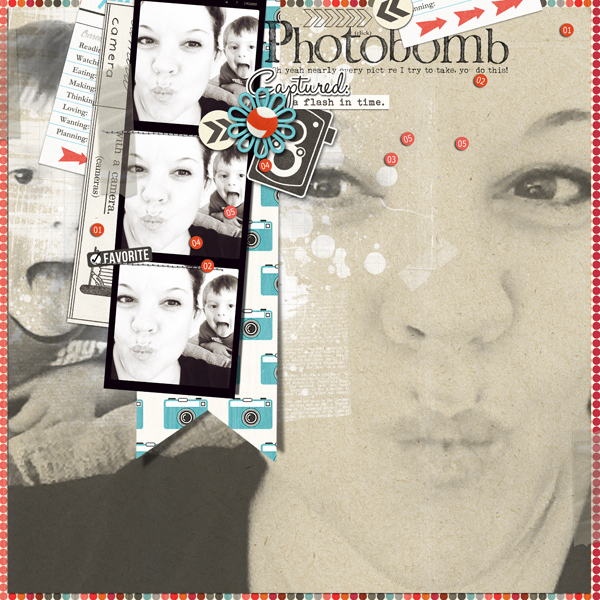 Gee whizz...you sure are busy...love that you are soooo creative:):) that kissy one with the big pic bg is fabbo......& the very first one....loving that white space!! !